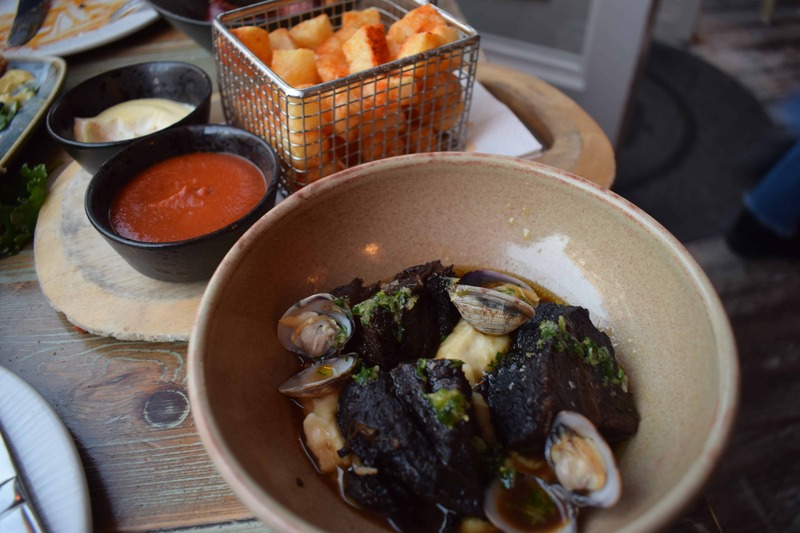 La Farola is one of the best tapas restaurants I have visited in London with excellent food, service and atmosphere. 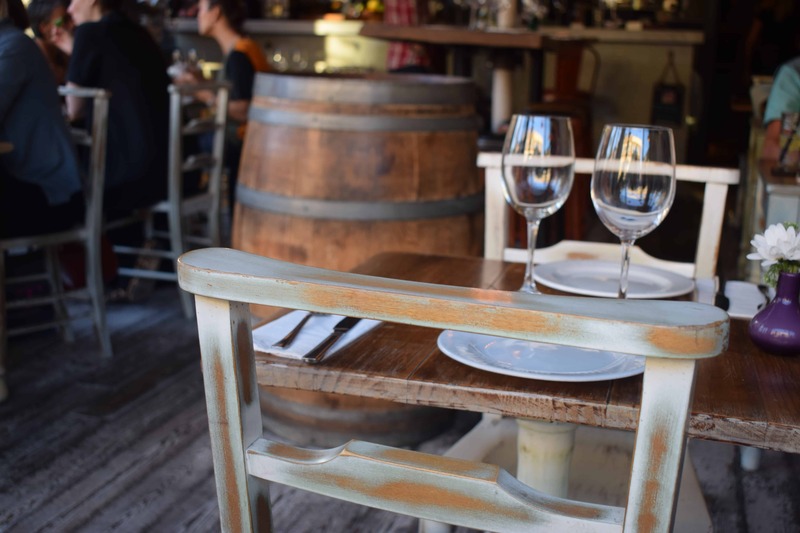 Ideally situated on Upper Street near Angel and Highbury & Islington tube stations, it has a very welcoming and quaint feel. It seems as if other customers agree as it was pretty packed on a Tuesday evening, which is always a good sign! 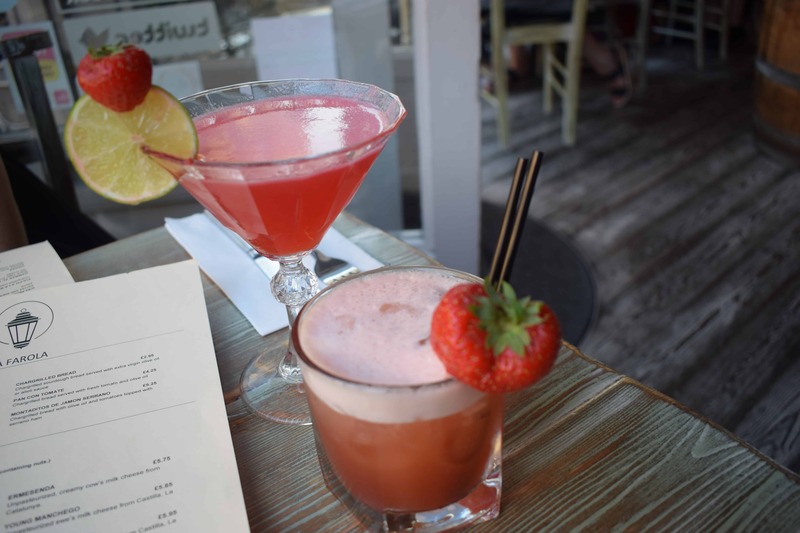 La Farola is proud of its locally sourced and fresh seasonal produce, using quality ingredients from Spain to create their dishes. This is reflected in the fantastic tapas dishes we tasted. 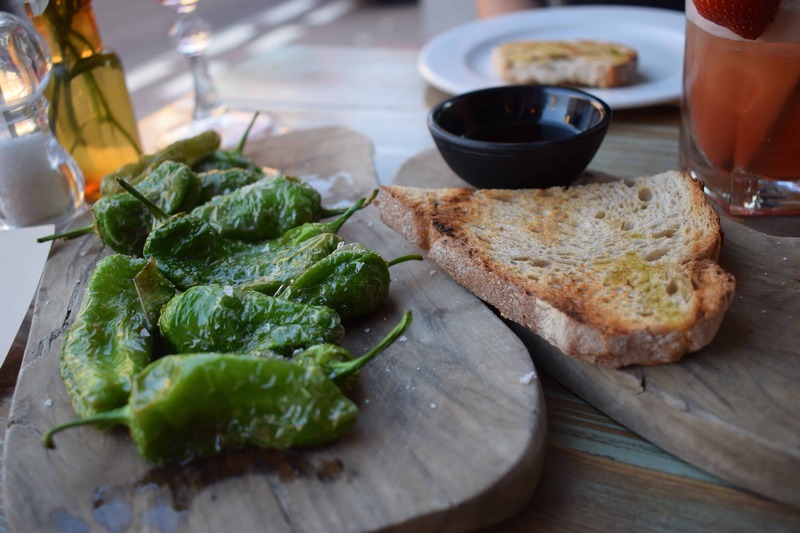 We started off with the Chargrilled Sourdough Bread with extra virgin olive oil and aioloi sauce and the Pimientos Padron. Following this we were ambitious and chose 6 tapas dishes, which was plenty!! 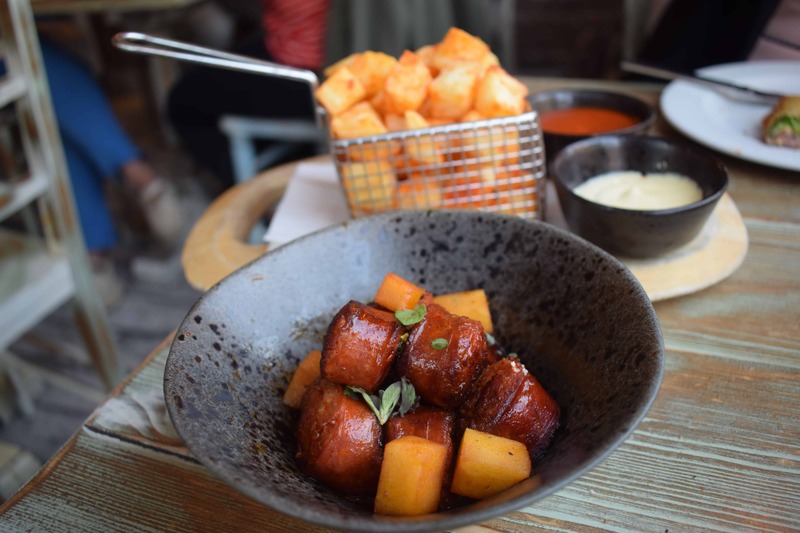 We had the Croquetas De Jamon, Chorizo Picante a la Sidra, Carrillera de Buey (braised ox cheeks), Patatas Fritas (obviously! 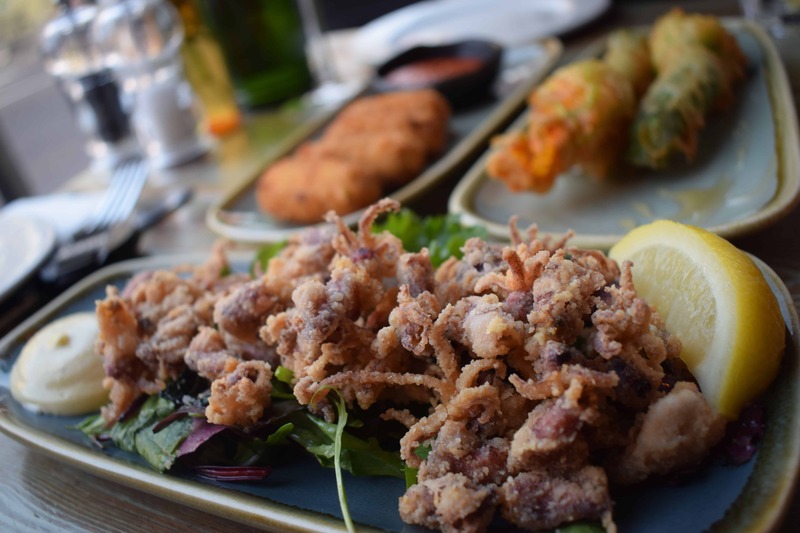 ), Courgette flower stuffed with goat’s cheese (a signature dish at La Farola) and the Chipirones (crispy fried baby squid). 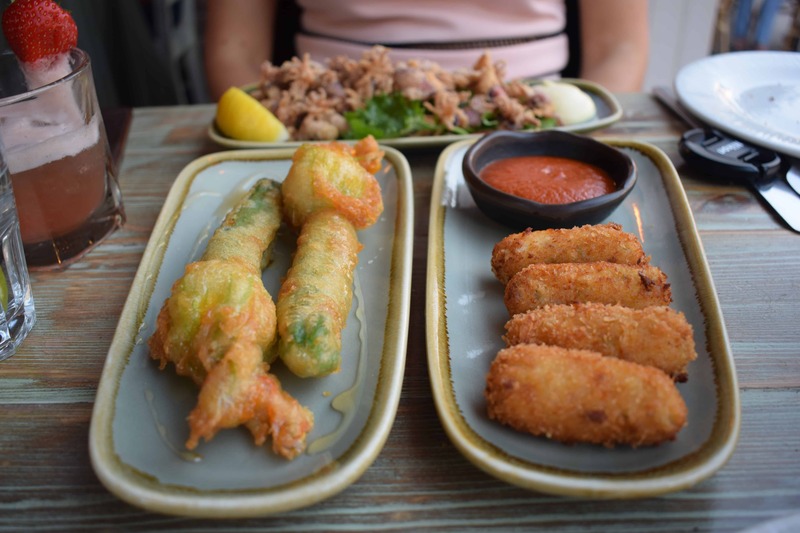 I absolutely loved the croquetas and the courgette flower, which was also served with honey – absolutely delicious. To end the meal (as if we hadn’t had enough!) 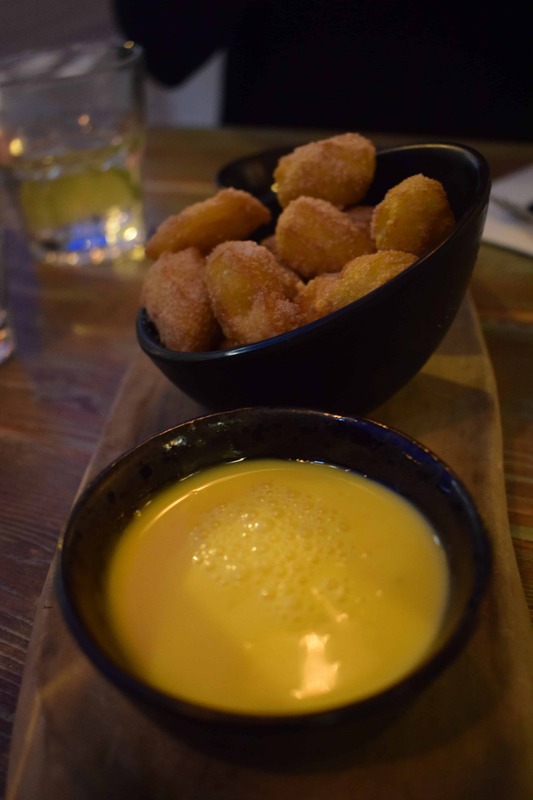 we shared the mini churros with chocolate sauce and vanilla custard – a perfect way to end the meal. topped with prosecco, which one of the staff created! 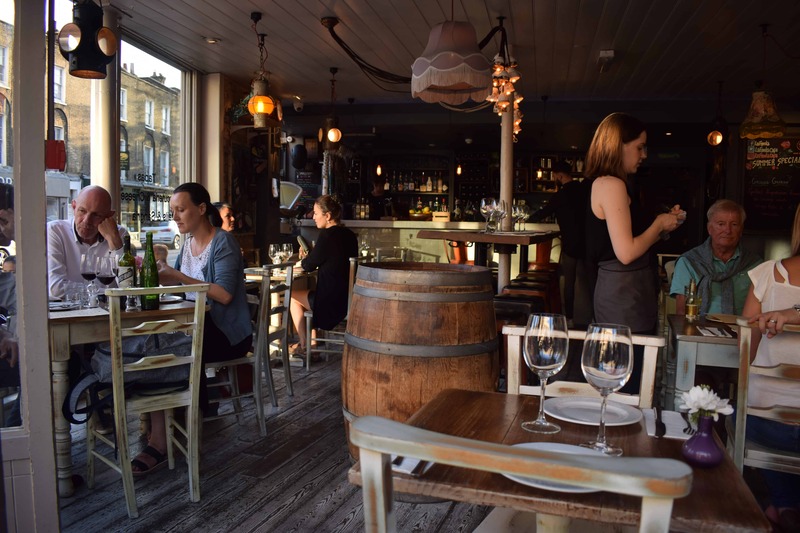 When you have fantastic food and service, you sometimes expect to pay more but La Farola has kept it prices very reasonable, which will see more and more customers returning!